Hailsham Town Council’s youth services continue to benefit young people aged 12 to 17, providing them with access to a wide range of opportunities and activities throughout the year. 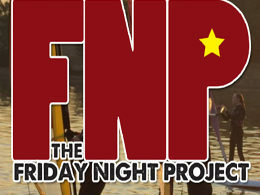 The Friday Night Project (FNP), which is funded by Hailsham Town Council and the Safer Wealden Partnership, works in partnership with other organisations such as Hailsham Community College to help create fun recreational activities for young people on Friday evenings and will continue to be a feature on their social events calendar during the forthcoming winter months. A variety of activities have been planned from December through to March next year including dry-slope skiing, tobogganing and Ringo Run at Knockhatch Ski Centre with skiing lessons available for beginners), as well as LaserQuest at Knockhatch Adventure Park and ten-pin bowling at Freedom Leisure Centre. Other activities include trampolining at the Urban Jump Centre in Heathfield, as well as abseiling and zip wire at the PGL Centre in Windmill Hill. Young people in Hailsham and surrounding areas aged between 12 and 17 years are welcome to attend outings organised by the Town Council’s youth project team. For further details, including bookings and programmes, contact Andy Joyes on 01323 841702. Alternatively, visit www.hailsham-fnp.org for more information.